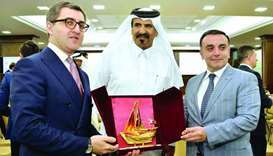 His Highness the Amir Sheikh Tamim bin Hamad al-Thani received a written message yesterday from Azerbaijan President Ilham Aliyev, pertaining to bilateral relations and means of further enhancing them. 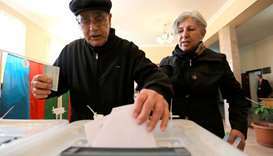 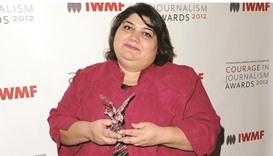 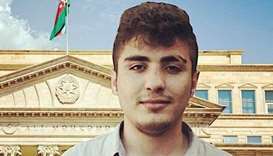 An Azeri opposition blogger was released on Saturday after serving two years in prison in a case condemned by human rights activists. 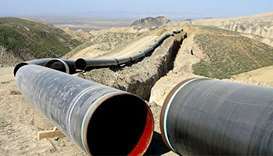 British petroleum giant BP has started operating a $28-billion pipeline in Azerbaijan to supply gas to Turkey and elsewhere in Europe, the company said Monday. 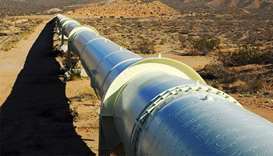 Azerbaijan inaugurated on Tuesday part of an ambitious $40-billion pipeline complex that will create the first direct route to transport gas from one of the world's largest fields to Europe bypassing Russia. 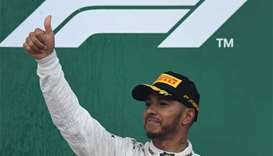 Lewis Hamilton celebrated one of the luckiest wins of his career on Sunday after a crash-strewn and chaotic Azerbaijan Grand Prix that catapulted him into the lead of the Formula One world championship. 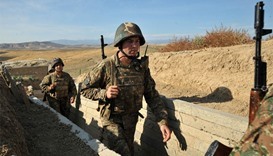 Azerbaijan said Saturday that Armenian forces killed 12 of its soldiers and shot down a helicopter as fierce fighting erupted between the arch-foes over the disputed Nagorny Karabakh region.